Inspire each person with a vision for and commitment to becoming lifelong practitioners in the school of prayer. Help each person discover and maximize their natural prayer pathway gifted them by God. Enlarge each person’s prayer vocabulary so they become adept at using a variety of forms of prayer as circumstances dictate. Help each believer through God’s grace deepen their prayer life and experience a joy in relating to God for which they have always longed. Do you wish you were more motivated to pray? Is your prayer life sporadic and inconsistent? Are you tired of waiting for answers to prayer? 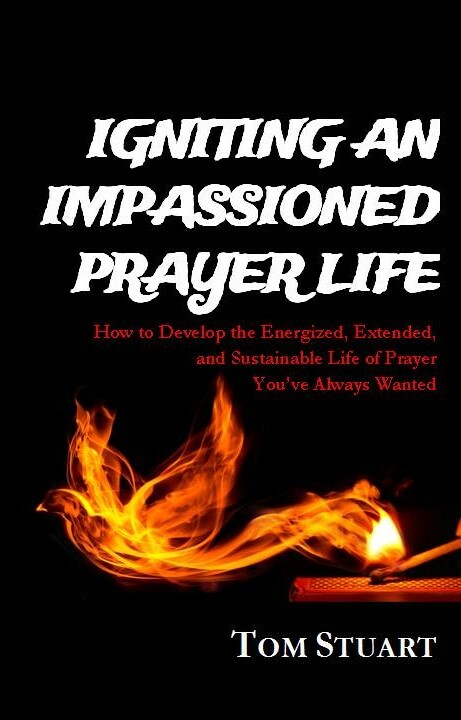 This book is written for people just like you, people who love God, but struggle in their personal prayer lives. It provides a remedy for those who carry nagging guilt or regret for not praying as frequently and as fervently as they feel they should. Each chapter concludes with reflection questions for further meditation and application. The book is intentionally formatted with short chapters for ease in reading, meditating upon, and referring back to the things God may be speaking to you with regard to your prayer life. Igniting An Impassioned Prayer Life is available on Amazon. Simply click the title or picture to order. It is also available for purchase directly by contacting me via this website. PDF Versions: Prayer Pathways Assessment & Prayer Pathways Assessment Scoring Sheet – Download and Print to determine your Prayer Pathway. The following are crafted scripture prayers that will enable you to pray effectively. Daily Watch Prayer – This prayer can be used on a daily basis to help you launch into an effective and faith-filled time of prayer.